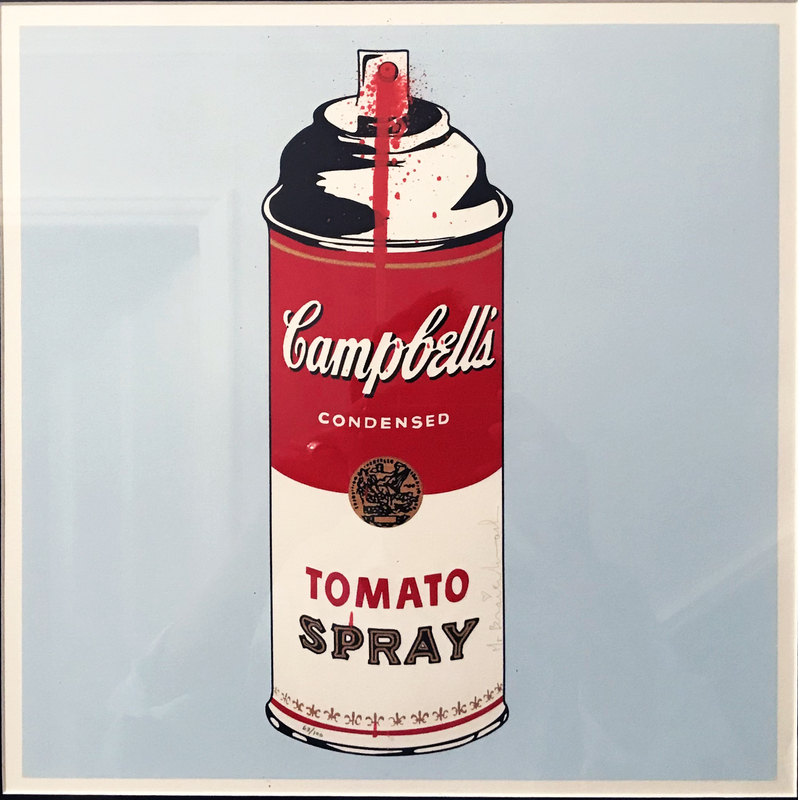 Tomato Spray (Pink) by Mr. Brainwash recreates an iconic figure in pop art history. The work of Mr. Brainwash is rooted in pop art. As Warhol looked to icons of consumer culture and celebrity, Mr. Brainwash looks to art and entertainment as the subjects of his work. Mr. Brainwash uses pop art that is departed from art’s tradition in favor of images of popular culture. Mr. Brainwash includes artistic tradition and even prior pop art as the subject of his work.